Living with a disability can be challenging enough without having to deal with discrimination in the workplace. If you have failed to receive a job, been terminated or passed over for a promotion due to disability discrimination by your employer, you may be entitled to compensation for your mistreatment. When facing these issues, it can be helpful to know that you have a lawyer on your side who understands the process of recovering compensation and who will fight to help you obtain the judgment you deserve for your unfair treatment. 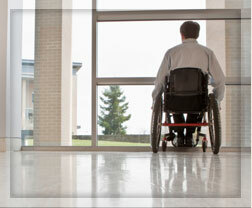 At the Watts Law Firm, P.C., our attorney leverages more than 25 years of legal experience to offer understanding and assertive disability discrimination representation to clients throughout Vermont. With your best interests always in mind, our staff works diligently to prove your case and help you obtain the compensation you deserve, allowing you to move forward with your career without fear of retaliation or future mistreatment. To discuss your specific disability discrimination concerns, contact us online or call (802) 457-1020 and schedule your free initial consultation today. In more than two decades of service, our staff has assisted clients facing various physical, mental and learning disabilities who have been the victims of discrimination in the workplace. Whether you have been refused a workplace accommodation, terminated, denied employment or passed over for promotion or employment advantages, our staff can help you find the compensation you deserve for your mistreatment. Our staff works diligently to provide counsel and strategies on how to help you recover compensation or employment reinstatement without litigation, allowing you to maintain your career if you so desire. We also offer comprehensive guidance through the process of reporting discrimination. Everyone deserves good legal advice and strong legal representation. That's what we do. Contact us to schedule your free initial consultation today.